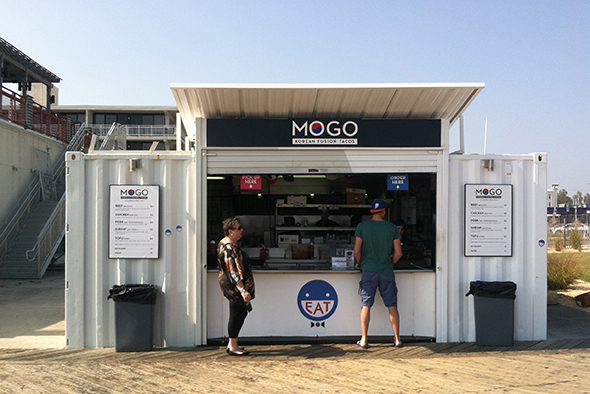 MOGO’s tacos bring all the flavor, satisfaction, and paper-plate charm of your standard boardwalk food stand, however, the co-mingling of Korean-inspired ingredients within the classically comforting portable pouch of the taco makes MOGO an Asbury Park boardwalk must-try. The novelty of fusion dining is undoubtedly a great way to get people to stop in and give your food a try, but MOGO doesn’t rest on novelty. 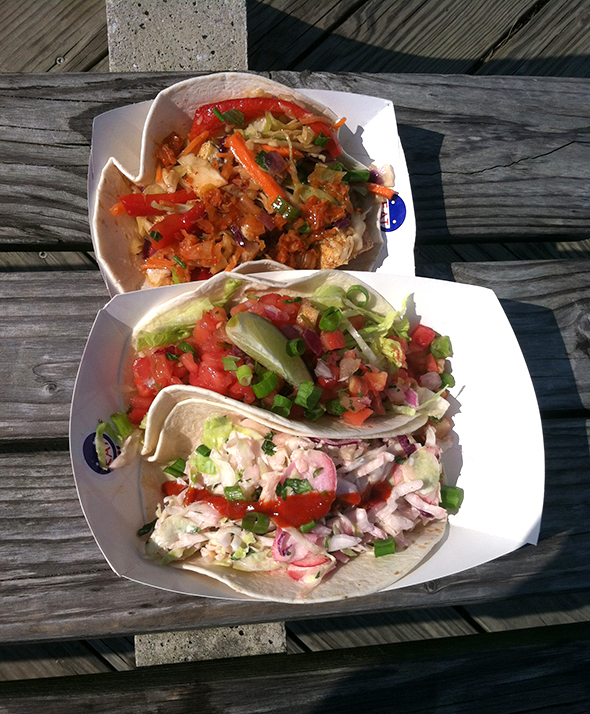 Diners in the area will visit MOGO again and again for one simple reason– their tacos are next level delicious. 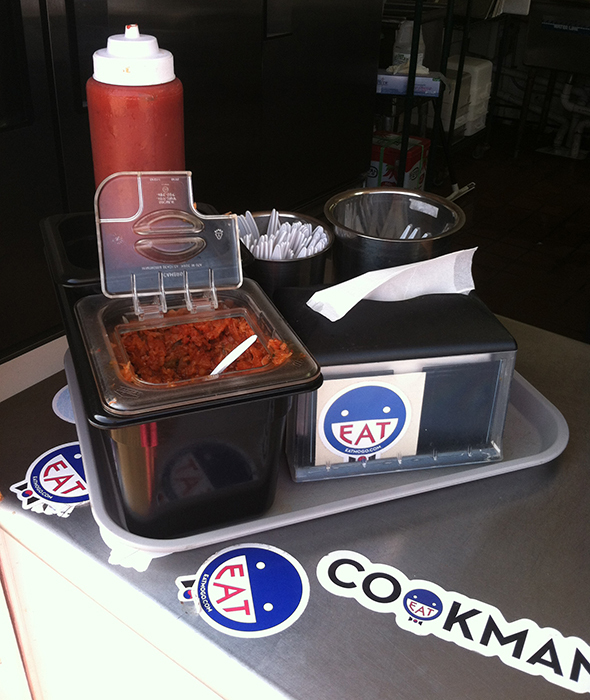 During my latest excursion to MOGO, I ordered, at the recommendation of their super helpful manager (thanks, Mike! ), one beef, one pork, and one tofu taco. As my plates were presented to me, I quickly realized one simple utensil would become my best friend in this dining endeavor– the plastic fork. MOGO’s tacos rival all others not only in flavor, but in shear mass, and in order to even fold the tortilla enough to get a grip on my lunch, I first needed to dig into each taco’s filling. Having solved the puzzle of how exactly to eat my meal without ruining my outfit, I was able to fully enjoy the bright, complex combination of tastes packed into each pocket. The beef taco, made with marinated rib-eye and Asian pear pico di gallo, is incredibly light with a punch of spice that won’t knock you down but will definitely leave an impression. The pork taco (my personal favorite) combines the fatty succulence of pork belly with a crisp and crunchy citrus mayo slaw. On this particular visit, though, I was most intrigued by the tofu taco. An unapologetic lover of meat, I rarely make tofu my first choice in dining, but MOGO’s tofu taco is as meaty and satisfying a vegan dish as I have ever tried. How can this tofu take on such a hearty texture and fulfilling flavor, I pondered. The answer is simple. Each cube of tofu takes a quick bath in the deep frier before joining its coleslaw brethren in their final resting place. Though MOGO’s boardwalk location only serves five dishes, all in taco form, the variety between each item gives their menu a pages-long feel. However, diners need not make that most dreaded dining decision of what to order. Beef or pork or chicken or tofu? At $4-5 a piece, you can try one of each and, if you’re feeling so inclined, go back for a shrimp or two. Plus, with MOGO’s all-seasons restaurant opening at 632 Cookman Ave before the year’s end, diners will be given even more variety to choose from. 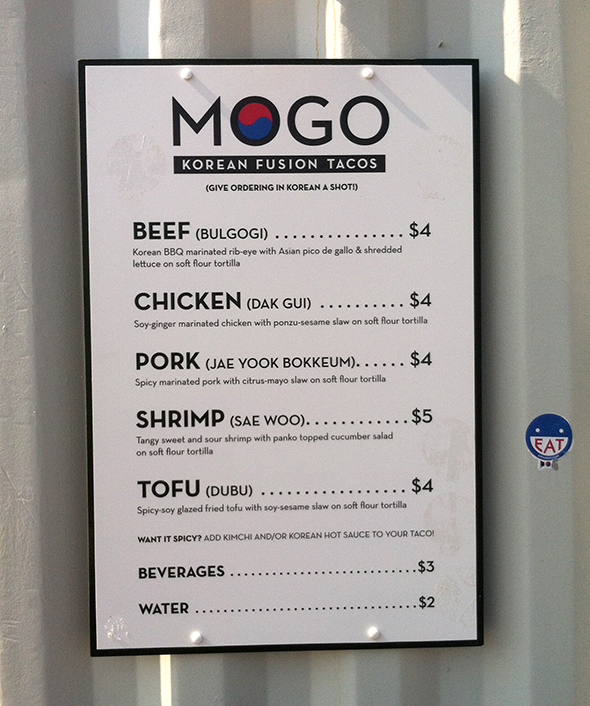 The chefs at MOGO look forward to serving, along with their original menu items, burgers, burritos, Korean fried chicken, and even a fish taco. And I, for one, look forward to trying them all. Never eat a MOGO taco without kimchi. Coming soon to Cookman. 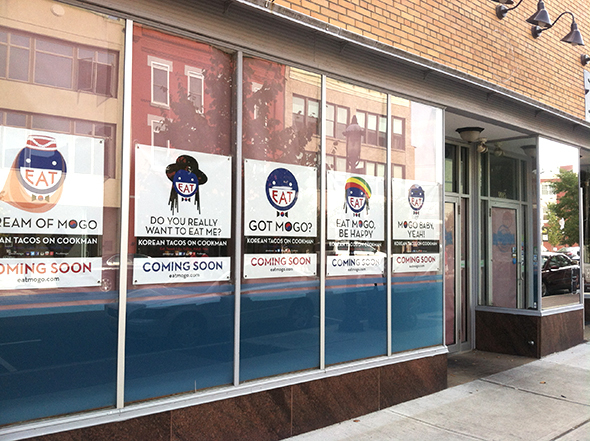 Mogo will open in former Munch space in November. This entry was posted on Tuesday, October 8th, 2013 at 11:04 am. It is filed under OMNIVORE. You can follow any responses to this entry through the RSS 2.0 feed.